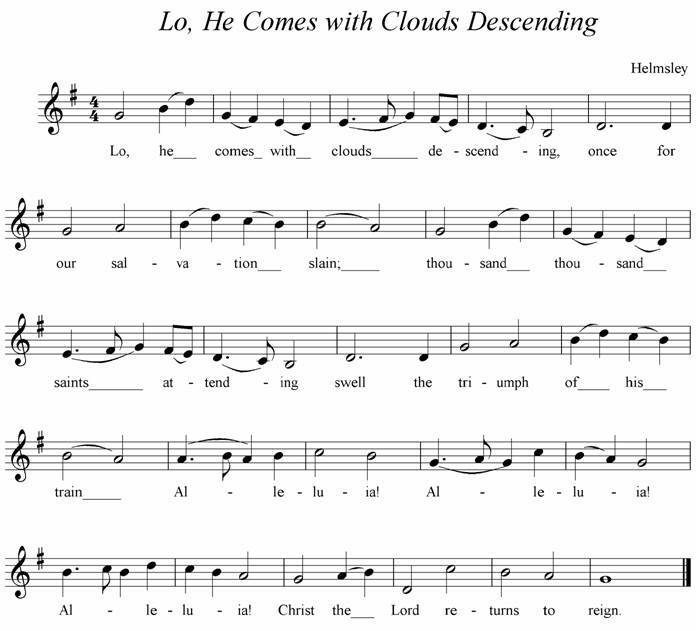 “Helmsley,” a hymn suitable for Advent and/or Pentecost (depending on the church denomination/hymnal), is one of my favorite hymn tunes. …plays the four-part harmonization three times. Verse 1 is piano only, to establish the melody and its intended harmony. In verse 2, the recorder (another instrument I play) comes in, augmenting the melody with notes in between. In verse 3, the recorder turns to a harmonic improvisation in baroque-era styling, which I lean towards on the hammered dulcimer and diatonic autoharp as well. If I were to play the same notes on the hammered dulcimer, you would hear many overlapping, sustained tones and a “leaning into” certain key notes along the way to evoke a longer ring, building a textured architecture of string sound. There is also one huge, missing piece: the congregation. Without folks to sing, I cannot do this! My solo arrangement of “Helmsley” for diatonic autoharp may be found on my CD Thus Sings My Soul, complete with extemporized verses, and is suitable for a prelude, offertory or special-music segment in the service. To arrange for these and more musical offerings to be part of a service at your church, contact me.